August is Water Treatment Month! 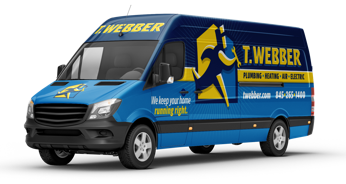 - T.Webber Plumbing, Heating, Air & Electric. 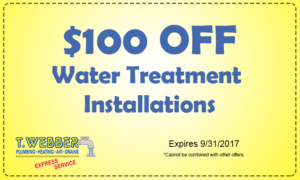 August is Water Treatment Month! Clean water is something that many Americans take for granted. While we are incredibly fortunate to have on-demand access to water that won’t make us sick, our water supplies still often are not as clean as we would like. In fact, many people don’t drink enough water simply because they have concerns about the quality of their water. Installing a water purification system is one of the best ways to eliminate this concern, but that isn’t the only benefit of investing in water treatment. In honor of National Water Treatment Month, let’s take a closer look at just a few of the benefits of water treatment systems. The primary benefit of water treatment systems is obvious – they make your home’s drinking water cleaner and healthier. They reduce the number of contaminants and make water taste and smell better. Whether you have well water or city water, it could contain everything from dissolved minerals to lead to chemicals. Investing in a water purifier ensures that such contaminants will be eliminated before they end up in your drinking glass. Your body needs water to survive, and contaminants can lead to serious problems. According to the EPA, there are more than 480,000 cases of learning disorders in the United States each year due to lead in drinking water. Drinking water that has been purified greatly reduces the risk of health complications, especially in children, pregnant women and people with compromised immune systems. If you have concerns about the quality of the water that comes from your faucets, you likely purchase bottled water. The cost of buying case after case of water adds up, especially if you have a large family or use that water for cooking in addition to drinking it. 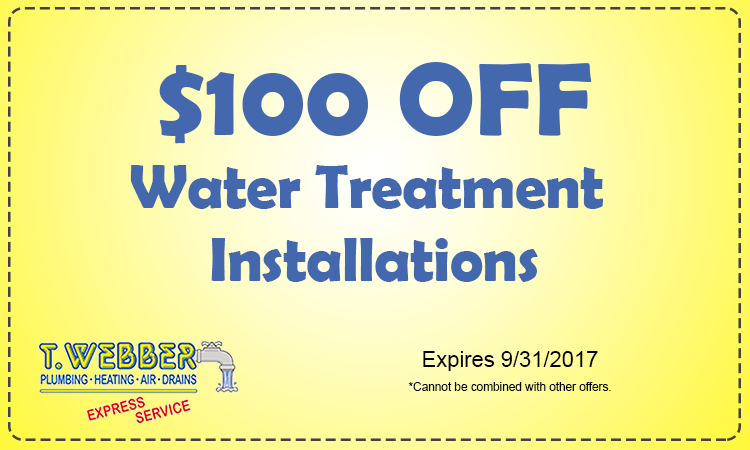 A home water treatment system is a one-time investment that will provide you with fresh, clean water for several years. As an added bonus, you’ll never have to worry about hauling heavy cases of water into your home again! If you buy bottled water and throw the empty bottles in the trash, you are contributing to the countless number that ends up in landfills every single day. Plastic bottles take 450 years to decompose. Invest in a water treatment system and use reusable bottles to drastically cut down on plastic waste and decrease your impact on the environment. If you are concerned about the quality of your home’s drinking water, T.Webber can help. To learn more about our water treatment systems or to schedule a water quality test, please contact us today. Call 845-288-2777.